This is a Nail of the Day that I have been meaning to share for absolutely months, but am only just getting around to actually posting it - bad Kitty, I know! It's crazy how effective this look is, especially when you realise how easy it is to apply, without any mess or hassle that comes with nail stamping or nail art pens. I was introduced to this polish, and the blue one by fellow blogger B who I met last November during my trip to Edinburgh. Since then, I have introduced it to both my Mum and my sister-in-law. As a domino effect, my mum also introduced it to her work colleague who introduced it to several members of her family. 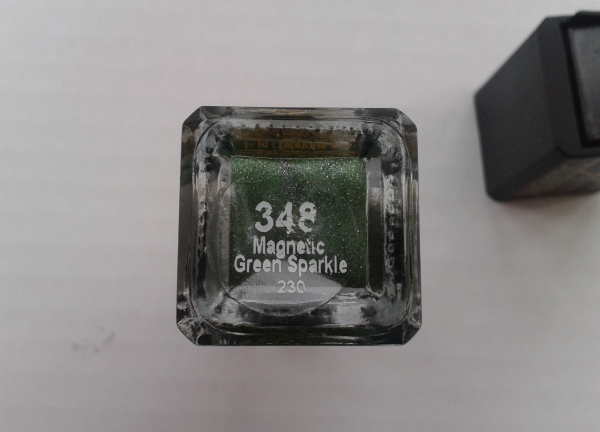 My mum also bought a bottle of it for my cousin...so yes, it's fair to say that these magnetic polishes have gone down an absolute treat over the past couple of months! 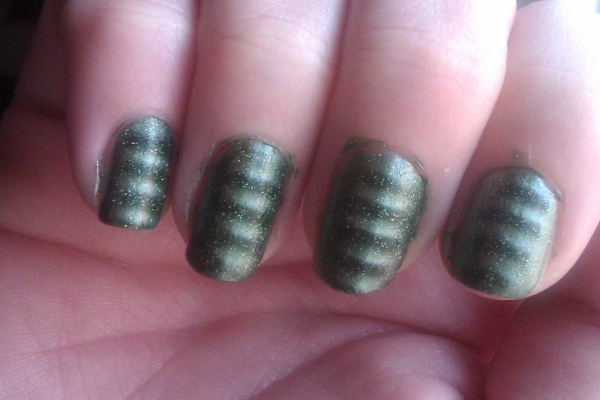 You'll probably notice that the pattern on my nail doesn't exactly match the pattern on the cap. This is because I don't like the pattern that came on this cap, so I swapped it around with another one. 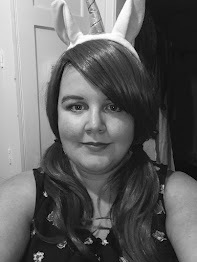 There are several different patterns, and I've seen no harm in swapping them around. I'm a fan of the striped effect as seen above, as well as the chevrons. Basically, all you do is apply a coat of polish as you normally would and allow it to dry. Personally, I like to do two coats but you don't have to - it's completely up to you. Next, apply another coat of polish, but don't let it dry. 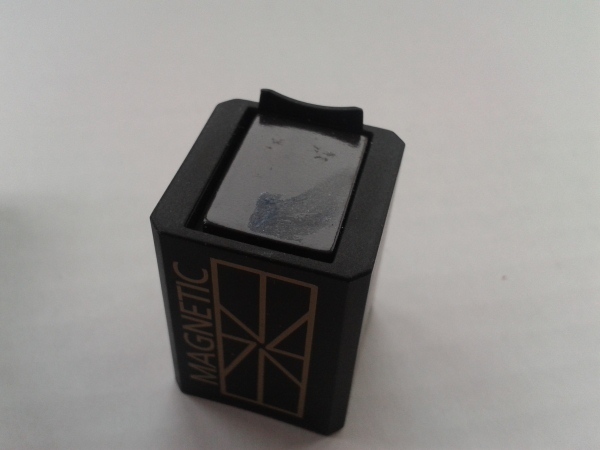 I am always getting polish on the magnet! The bottle recommends something like 5 seconds, but I like to leave the magnet hovering for longer, because I find that the pattern is more defined, and I personally prefer that, but it's up to you and of course perhaps even a little trial-and-error. 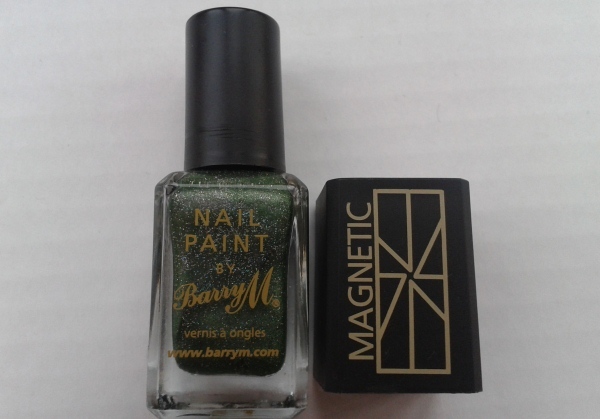 If you haven't had chance to try out Barry M's magnetic polishes, I strongly recommend that you give them a go. Ooh very nice! I've yet to try these...I've got too many polishes at the moment haha.